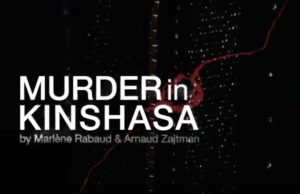 Screening: Arnaud Zaitjman‘s Murder in Kinshasa (2011) is the first film dedicated to the assassination of Kabila. Followed by conversation with the director. Cameroonian composer and producer Franck Biyong operates outside the boundaries that map the trajectories of African musicians in and out of the continent. A versatile artist, he plays the electric guitar, bass as well as percussion and keyboards. 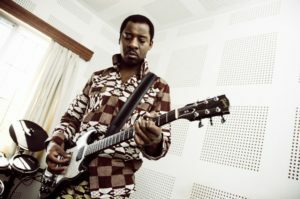 After a string of afrojazz albums, Biyong broke new ground with a genre he describes as “Alternative Afro-Electro-Rock” or “Afrolectric Music” that fuses rock, electronica and African-flavoured beats. His latest release, IBOLO INI is a psychedelic journey that travels from Central Africa to Paris, combing tradition rhythms, analogue synthesis and dreamlike soundscapes to conjure the intangible. Philou Louzolois a Rotterdam based DJ and producer. 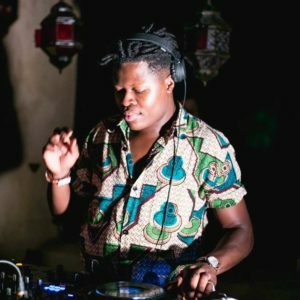 Blessed with deeply rooted ties to the townships of Sierra Leone, his sound is rooted in Afrobeat combined with the soulful and raw sounds of Chicago/Detroit inspired music. He has toured extensively, playing major clubs and venues around Europe.